The year 2011 will be The Year of Ibn Al-Haytham. 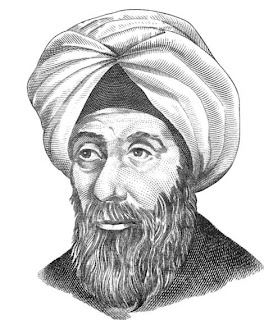 A series of high profile international events and activities are being planned to pay tribute to Ibn Al-Haytham and his contributions to science. According to historical accounts, in the year 1011, Ibn Al-Haytham was retained under house arrest. It is during this period that Ibn al-Haytham composed his most original scientific achievements that represented a turning point in the history of science. Ibn Al-Haytham was an Arab polymath. He made significant contributions to the principles of optics, as well as to anatomy, astronomy, engineering, mathematics, medicine, ophthalmology, philosophy, physics, psychology, visual perception, and to science in general with his introduction of the scientific method. He is sometimes called al-Basri after his birthplace in the city of Basra. Born around 965, in Basra, Iraq and part of Buyid Persia at that time, he lived mainly in Cairo, Egypt, dying there at age 76. Ibn al-Haytham is regarded as the "father of modern optics" for his influential Book of Optics (written while he was under house arrest). He is also recognized so for his experiments on optics, including experiments on lenses, mirrors, refraction, reflection, and the dispersion of light into its constituent colours. His Book of Optics has been ranked with Isaac Newton's Philosophiae Naturalis Principia Mathematica as one of the most influential books in the history of physics, for starting a revolution in optics and visual perception. Don't refuse a kiss, you may get bullets!!! Gujarat ready for online voting!!! Saina Nehwal Wins Swiss Open!